After taking the Road to Morocco, a librarian connects with her students online. When I began my Fulbright teaching award in Morocco, I had one Moroccan “friend” on Facebook, the international social networking website. This friend was a student at the library school where I had been assigned, the Ecole des Sciences de l’Information (ESI) in the capital city of Rabat. A New Jersey librarian had put me in touch with this outgoing young woman, starting the social networking experience that would supplement F2F (face-to-face) contact in class throughout the academic year. I had already been using Facebook to keep in touch with friends and colleagues while in the United States. Surprisingly, Facebook also became a valuable tool for cultivating in-country connections with future information professionals during my time abroad. In my library career, I enjoyed making use of my second master’s in French and continued to cultivate my love of foreign languages and travel. Librarians qualify for full Fulbright awards by virtue of our terminal (or professional) degree, the MLIS. Since I’d been serving as an adjunct faculty member for just about all of my career as a librarian (and TAing before that), the idea of applying for a teaching Traditional Fulbright Scholar award in Morocco was too tempting to pass up. I applied in summer 2007, was accepted in spring 2008, and found myself on the “Road to Morocco” in September 2008.
for example, the language of instruction in technology dependent disciplines tends to be French. The local language is Derija and the official language is Arabic. Derija is not the same as Arabic, in the same way that Spanish or Italian are not Latin. Despite its proximity to Europe, Morocco is a developing country. It is also extremely open, the inhabitants are friendly, and tolerance is a way of life. However, as in many developing countries, illiteracy is high, and poverty is a very real problem. Morocco has a single library and information science school, ESI. It offers a four-year undergraduate degree and a two-year master’s; the entrance competition to both is fierce. The result is that students are highly motivated and very engaged. 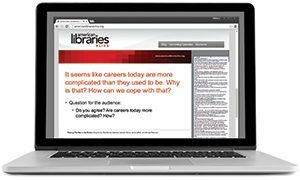 The majority hope to work as archivists or “documentalists” when they graduate, as libraries are still underdeveloped and not professionally appealing. Like undergraduates in the United States and Canada, students are into using cell phones, taking photos of the mundane, and connecting on social networking sites-Facebook in particular. Morocco boasts some of the best Internet connectivity rates in all of Africa, making online connectivity almost as easy as a cell phone connection. Once the school year began, it did not take the students long to figure out that I had a Facebook account. While I would never seek to “friend” a student, I accepted friend requests from current ESI students as part of the experience. As time went on, the connections, comments, and communication became richer. Here are some highlights of how Facebook enhanced my time in Morocco through connections with aspiring information professionals. Classes started in early October, right after the end of the holy month of Ramadan. In late October, I took two photos of my second-year students and posted the photos to my blog as part of an in-class lesson on Web 2.0. After class, about eight students came up to me and asked for the photos. The photos promptly started showing up in student Facebook photo albums and as their profile photos. The photos were a hit, and I got more friend requests than ever. After explaining to second-year students that I am working on a PhD, I got a very kind message on Facebook from a student welcoming me to Morocco and wishing me well in my studies. Guest speaker Eric Childress of OCLC Research spoke to a devoted crowd about Metadata Friday. Friday prayers draw students, especially the men, away from school in the afternoon. These dedicated master’s students and undergraduate English club students came back to school late in the afternoon that cold Friday in December to learn about OCLC. The classroom building is unheated, so we wore coats for the talk. Breaks between semesters and time set aside for studying yielded extra time for students to look through my Facebook photo albums. I was glad they felt comfortable enough to make comments, especially about my photos from Morocco. The seriousness of the exam period took a toll on the social networking for all of us in February. The former director at ESI had retired in December 2008. His replacement was announced on the one day of the week when I worked from home. Not a problem: many students changed their Facebook status to mention Mr. Lemallem’s appointment. The students also made a fan page for him so I was able to figure out who he was (turns out he’d been in the office next to mine). ESI does not provide students with e-mail accounts, so communicating via Facebook messages was a convenient way to stay in touch with students as they worked on papers, asked about upcoming speakers, and looked for resources. I must have received 10 messages from the third-year library students during spring break while they were working on their big papers for our class. Perhaps the most rewarding use of Facebook over the past year was seeing its use by my third-year aspiring librarians after our class had officially ended. At our last class session, I took a photo of the students in the beginning of the hour. At the end of the hour, we discussed what the future of libraries will be, and I showed them the photo I had just taken . . . of them. 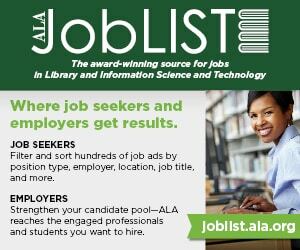 In countries where there are not a lot of resources, where there is not a culture of reading, and where the profession of librarian is relatively unknown, the library school students of today are what truly will drive the libraries of tomorrow. After they got over their surprise at the unveiling of their photo, they seemed to take the point. When I posted that photo to Facebook, a conversation started. One student captioned the photo: “To get this photo, just conjugate ‘to library’ in the future tense.” Another student followed by commenting: “We will library”; and so on. I was overjoyed to see their enthusiasm for the idea of taking responsibility for the future of libraries under some pretty harsh conditions, and taking that responsibility publicly, of their own volition. They are 100% up to the task, there’s no doubt about that. Using Facebook has been a great way for me to chronicle connections made during a rich Fulbright year in Morocco. I wish it were a little easier to pull together all of my Morocco-related content on Facebook, but I have to acknowledge that searching around haphazardly in the annals of Facebook is rewarding in its own right. Besides, some of my 75 or so ESI student friends have continued to keep in touch over the summer, which is an enjoyable continuation of the 10-month Fulbright experience.